Ann has over 25 years of riding experience, including eventing, dressage, western equitation and vaulting. In 1994 she received her bronze medal in vaulting, and in 1996 was part of the national championship c-team. She studied in Stuttgart, Germany and rode at the Stuttgart Reit und Fahrtverein. 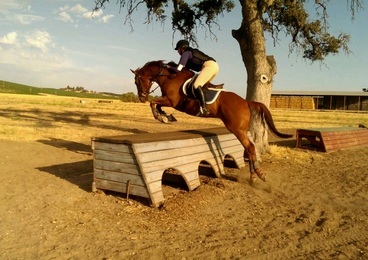 Since 2011 she has been a certified instructor for therapeutic riding with PATH, International. She is currently successfully showing Rex and Taikomochi in Dressage and Eventing. Ann and Taiko also enjoy introducing our riders to the sport vaulting.